I love teaching children. Everyday is a new adventure; I never know what the day will bring. I love children’s huge personalities and how silly they can be. Working with children is so much fun. I have my BA in Early Childhood and Adolescent Development, my Early Childhood Development Credential, and I am CPR & First Aid Certified. I’ve been caring for and teaching children since I was 14. I am originally from a small town named Corcoran in the central valley. I have 2 brothers and 1 sister. I have two dogs that live with my parents named Leia and Belle. I just got married in 2015. I love going to the beach and the movies with my friends and family. I also enjoy doing nail art. I have a huge nail polish collection. I also enjoy going to the gym. 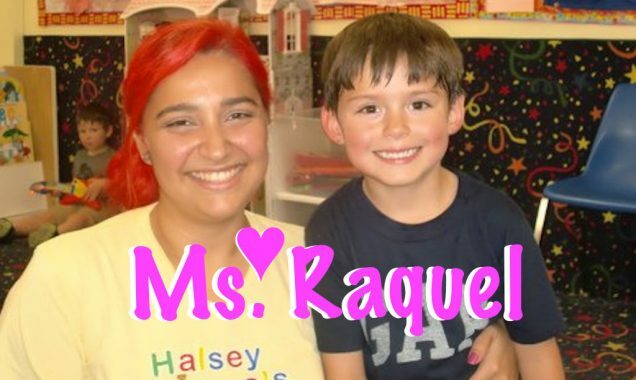 Ms. Raquel teaches primarily in our Infant Center. However, just like all our teachers you may see her interacting with any of the children. Her anniversary date is June 13, 2016.